NetFit Netball – Waiuku Netball Centre Inc.
Laura Langman is returning to Waiuku for a fun end-of-season NETFIT hit out on Sunday 19 August. 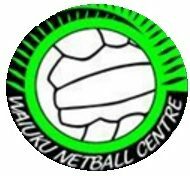 Registration forms to be e-mailed to netfitwaiuku@gmail.com or dropped off at the Waiuku Netball Centre Office on Saturdays. Be in quick and join in the fun with Laura!